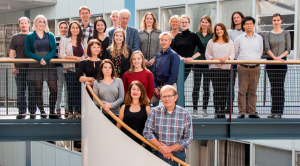 The dB SPL is a research group embedded within the larger research group of Audiology of the Department of Otorhinolaryngology of UMCG, working closely with the other researchers and clinical teams (CINN) of the department. Fitting with our multidisciplinary research, our group consists of researchers coming from a wide range of backgrounds, including but not limited to, engineering, acoustics, psycholinguistics, psychology, medical sciences, artificial intelligence, and similar. We have many local and international collaborators, working with the leading experts in their respective fields. For more information on the auditory research conducted in our department, please see the department page. 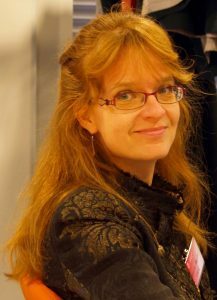 Anita Wagner joined dB SPL as a Marie Curie Experienced Research Fellow. She is interested in the question of how listeners’ experience with speech alters their processing of auditory information to create perceptual events that match their mental representations. Anita did her PhD at the Max-Planck-Institute for Psycholinguistics in Nijmegen, where she worked on language-specific reliance on acoustic information in speech. She went on to study language-specific processing of speech and non-speech as a post-doc at the University College London. Her current projects include the linguistic adaptation following implantation in cochlear implant users in a longitudinal study that combines behavioral and CAEP measures, as well emotion perception in hearing impairment and musician effect on perceptual and linguistic processes. A major focus of Terrin’s research concerns the perception of indexical (talker) variability, and how it may shed light on questions regarding the influence of prior language experience and individual perceptual and cognitive differences on speech perception. During her PhD studies at Indiana University with David Pisoni, Terrin worked on several projects examining the perception of regional and foreign accents by native and non-native listeners. She also contributed to the development of new, more realistic sentence recognition test materials in American English. This work led her to pursue her current research on how cochlear implant listeners perceive speech in more difficult, real-life environments involving speech variability. With her current work, she seeks to identify the cognitive, linguistic, and perceptual skills necessary for cochlear implant listeners to better understand speech in these real-life environments. 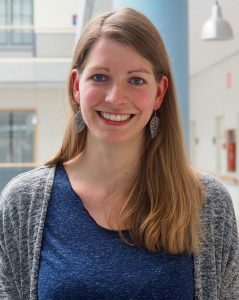 After her research internship that involved the next wish of cochlear implant users – now speech perception and communication are developed and most CI-users are satisfied in these fields – enjoying music, in the dB SPL group, Christina completed her MD/PhD with dB SPL in 2016. Following on Victor Hugo, ”Music expresses that which cannot be said and on which it is impossible to be silent,” the topic of her research was on music and the musical background in CI users. In her postdoctoral research, in collaboration with Dr. Rolien Free, Christina is exploring speech and music perception in a relatively understudied population of implant users, namely, early deafened late implanted individuals. Jefta finished his Bachelor’ degree in Kunstmatige Intelligentie in 2010 and Master’s in Human Machine Communication in 2012 (supervised by Deniz Başkent and Elkan Akyürek). Jefta’s Master’s and PhD projects investigate possible links between the auditory and visual domains, with a focus on temporal integration and phonemic restoration. Jefta’s PhD work is a collaboration between the Faculties of Medical Sciences, Psychology, and Science. After obtaining her BSc. in Electrical Engineering from the American University in Cairo, Nawal received an MSc. in Computational Neuroscience from the Institute for Neuroinformatics (INI) at ETH Zürich. 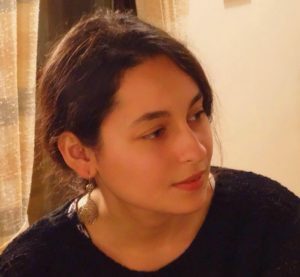 Throughout her Master’s, Nawal developed a passion for acoustics from the work she did with Shih-Chii Liu on speaker tracking using spikes from a neuromorphic silicon cochlea chip. To shift to more clinical research, she did her master thesis in Norbert Dillier’s lab on neural modeling of cochlear implant coding strategies. Currently, Nawal is pursuing her PhD on improving the perception of vocal characteristics by cochlear implant users under the co-supervision of Deniz Baskent and Etienne Gaudrain. 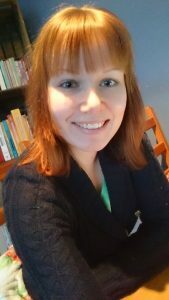 After obtaining her Bachelor’ degree in Dutch Language and Culture at the Radboud University Nijmegen in 2014, Leanne followed the Erasmus Mundus programme in Clinical Linguistics (EMCL) and received a joint MSc degree from the Universities of Eastern Finland, Potsdam, and Groningen in 2016. For her master thesis, she did an internship at the dB SPL group and worked on the processing of contextual and lexical information in adult cochlear implant users (supervised by Anita Wagner, Roelien Bastiaanse, and Deniz Başkent). 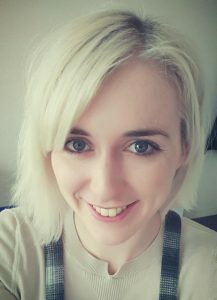 Leanne’s PhD project is an interdisciplinary project that combines the research fields of linguistics and audiology (supervised by Deniz Başkent and Petra Hendriks). Her PhD project investigates the perception of voice characteristics in children with cochlear implants and how it is related to their speech perception abilities and language development. After obtaining a Bachelor’s degree in Human Movement Sciences, Minke decided to explore neuroscience with the Research Master Behavioural and Cognitive Neuroscience, with a special interest in perception. To accommodate this interest, she is now investigating emotion perception in both healthy and hearing/visually impaired persons. This interdisciplinary PhD project, supervised by Deniz Başkent and Frans Cornelissen, focuses on the integration of auditory and visual information in emotion perception. Elif received her MA in Cognitive Science at Bogazici University, Istanbul. For her Master’s thesis, she investigated how expectations due to prior knowledge of a musical system may affect pitch perception. 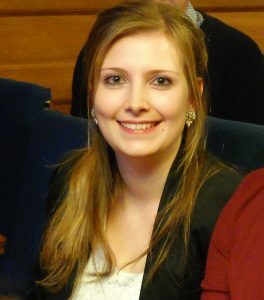 She joined the db-SPL group as a Marie Curie early stage researcher, as a part of the ENRICH European Training Network. Her PhD project is supervised by Dr. Deniz Baskent and Dr. Anita Wagner, investigating the underlying processes that may be involved in musician effect on language processing and how musical training may be used as a means to improve speech perception in hearing impaired populations. Julie obtained her MAI in Biomedical Engineering from Trinity College Dublin in 2016. Her interest in speech stems from her Master’s Thesis, using EEG to decode attentional selection in a cocktail party environment. She joined the dB SPL group in 2017 as a Marie Curie PhD as part of the ENRICH European Training Network. At the moment she is working on emotion recognition research in normal hearing and hearing impaired listeners under the supervision of Dr. Deniz Başkent and Dr. Anita Wagner. I obtained a bachelor’s degree in Linguistics at Radboud University Nijmegen. In my bachelor’s studies, I specialized in speech and language disorders, which is why I continued with the master programme Speech and Language Pathology (also in Nijmegen) and received my MA. In 2017, I started working as a research assistant at the Max Planck Institute for Psycholinguistics in Nijmegen, and that job really aroused my enthusiasm for a science career. Hence, I started looking out for an interesting PhD position, which I got at UMCG. In my PhD project, which is supervised by Deniz Başkent and Terrin Tamati, I am investigating the role of voice characteristics and linguistic information in talker perception and speech processing. After completing his PhD in experimental physics, Mathieu started a post-academic track to become a clinical physicist-audiologist. His internship at dB SPL is part of these studies. In the clinic, he encounters many hearing-impaired patients who experience difficulties communicating in noisy situations. Therefore, his research focuses on speech understanding in noise: What do people need to single out one voice when there are competing speakers? Dana finished her Bachelor’s in Medicine in July 2014 at University of Groningen. After working and wandering around the world for a year she started her medical rotations at Martini Hospital in Groningen. The second year she did her rotations in Deventer. For half a year she did a clinical internship, in a small, local hospital in Uganda. During these rotations she developed an interest in the Ear, Nose and Throat Department. She decided to dedicate her research internship to studying the early-deafened late-implanted cochlear implant users. Jurre is currently a bachelors student of Life, Science and Technology, with a major in Biomedical Technology. During the courses in his study he encountered many medical devices, including cochlear implants (CIs). 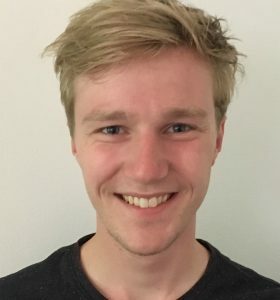 In his bachelors thesis he has expanded his knowledge in CIs and he is currently studying the recognition of emotion in speech with different types of CI users. Paolo is an experimental psychologist with a PhD in Neuroscience and several years of post-doc and teaching experience. Paolo has a solid ground in programming languages (especially Matlab and C++) and with statistics and data modeling (his favorite is R). Moreover, he has extensive experience with hardware and software for measuring human’s capacities and performance, brain responses (electroencephalography) and eye movements (eye-tracking). Currently, Paolo is managing the lab spaces and supporting and advising the researchers at the ENT department. 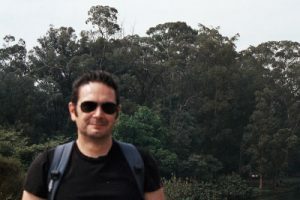 His webpage (paolo.mp-concepts.net) contains more information on his past research and future endeavors. 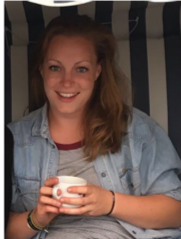 Britt is a third year Psychology student at the University of Groningen. Because Psychology is very broad, she is interested in a lot of topics. 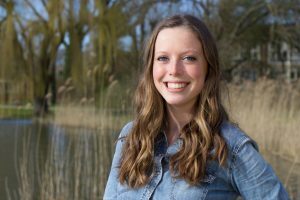 She always liked social psychology, but since she is a student assistant at the UMCG, she became very enthusiastic about and more interested in cognitive psychology en psychophysiology. Her job as student assistant is to help the researchers with their collecting data and running their experiments. Britt really likes the job as student assistant because she meets a lot of new people. 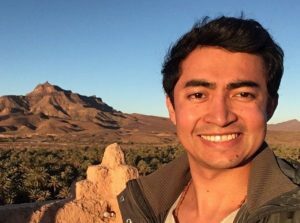 Alejandro received his Bachelor degree in Biomedical Engineering in 2017 through an associate agreement between the Escuela Colombiana de Ingeniería (Colombia), the University of the Rosary (Colombia) and the Poliyhecnic University of Catalunya (Barcelona, Spain). 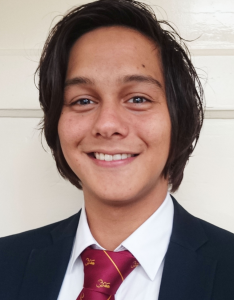 He is currently pursuing his Master’s degree of Common European Master’s Course in Biomedical Engineering (CEMACUBE) thanks to an associate agreement between the Rijksuniversiteit Groningen and the Trinity College Dublin. He is specialized in neuro- and biomechanics, tissue engineering and has extended knowledge in programing languages (especially Matlab). Alejandro is supporting Dr. Christina Fuller developing new software in order to research in users of cochlear implants (early deafened late implanted individuals). In addition to research staff, we closely work with our admin support. In fact they make everything happen in our lab! Ria Woldhuis works as a management assistant in the ENT department of the UMCG. She takes care of all financial related matters of the research people. Every day is different as people come up with various questions. A small selection of Ria’s tasks: making calculations for grant budgets, taking care of budgets and reimbursements, ordering materials and equipment, paying participants, contact person for grant agencies, taking care of appointments/contracts of new people, organizing seminars etc. Ria also makes sure that the correct UMCG procedures are followed. This facilitates that the research people can focus on their research. Most of Etienne’s work concerns auditory scene analysis for speech communication in hearing-impaired listeners. During his PhD in Lyon with Nicolas Grimault, Etienne studied sequential segregation with speech-stimuli. He then moved to Cambridge, UK, where he worked with Roy Patterson on vocal characteristics and their role in defining perceived speaker identity. This was followed by a second postdoc with Bob Carlyon, still in Cambridge, to study the sequential aspects of concurrent speech perception in cochlear-implant listeners by developing Zebra-speech. Etienne has also collaborated with researchers in Lyon, Linköping, Geneva and Leipzig on connected projects. For more details, please see Etienne’s website. 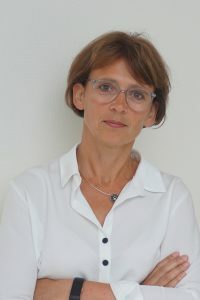 Esther Janse is an associate professor at the Centre for Language Studies at Radboud University Nijmegen, the Netherlands. Her previous work focused on the production and perception of fast speech and on speech comprehension deficits in aphasia. Her current research interests include aging and hearing loss effects on spoken language (both on perception and production), perceptual adaptation in speech comprehension, and the role of individual cognitive abilities on speech processing. Her work is supported by research grants from the Netherlands Organisation for Scientific Research (NWO). 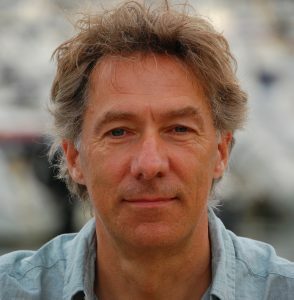 Prof. Hendriks is a full professor of semantics and cognition. She was the recipient of a prestigious NWO VICI grant in 2007, see more details at “Asymmetries in Grammar.” We recently started collaborating in a small project to explore the effects of simulated cochlear-implant processing on young children’s speech perception, using linguistic tests developed in prof. Hendriks’s lab. 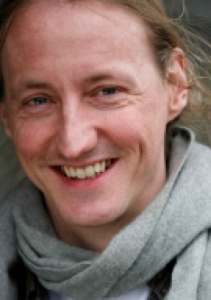 Dr. Andringa is associate professor Auditory Cognition (80%) at the Artificial Intelligence Department of University of Groningen, leading the Sensory Cognition Group. He is also affiliated with INCAS3, a nonprofit private research institute. For more information please see his website. Dr. Sarampalis is a lecturer at the Psychology department of the University of Groningen. He began his career in psychoacoustics in the UK where he worked with Deb Fantini and Chris Plack, before moving to California to work on hearing devices, first with Monita Chatterjee and then with Erv Hafter. His current research interests involve understanding the contributions of cognition in complex hearing situations and the interactions of cognition and hearing impairment. For more information, you can visit his website. Dr. Akyürek is an assistant professor at the Department of Psychology of the University of Groningen. After obtaining his PhD in 2005 from Leiden University, he worked as a postdoctoral research fellow at the University of Reading (UK) and the Ludwig Maximilian University Munich (DE), before returning to the Netherlands to join the department in 2009. His research is broadly centered on perception and cognition, and their interaction, covering topics such as visual temporal integration, attention, and working memory. For more information, please see his website. Dr. Chatterjee is the director of Auditory Prostheses and Perception Laboratory at Boys Town National Research Hospital and a visiting associate research professor at University of Maryland. We collaborate on various topics relevant to speech perception with cochlear implants. For more information, please see here. Prof. van Dijk is a full professor of Audiology and the director of Audiology group at the UMCG. He is an established researcher in tinnitus,and his research interests cover the broader topics of cochlear implants, biophysics of the inner ear, and neuroscience of hearing. For more information, please see his website. Dr. Free is ENT doctor/otologist/neurootologist at the UMCG and co-director of the Cochlear Implant Center Northern Netherlands (CINN). She was trained in otorhinolaryngology by professor Albers at the UMCG and did her PhD ‘Exogenous factors influencing voice prosthetic biofilm’ in a joined project of the Department of Otorhinolaryngology and the Lab for Biomaterials, now the W.J. Kolff Institute for Biomedical Engineering and Materials Science, with professor Henk Busscher. Since november 2004 she is a staff member of the Department of Otorhinolaryngology. In 2010 she received a grant from the Heinsius Houbolt Foundation, for a combined clinical and research fellowship on Neurootology. From april – june 2011 she worked with professor Sanna, Piacenza, Italy as a fellow on skull base surgery/neurotology and is now a teacher in his middle ear course. Also since 2006 she has been a tutor in professor Fisch’s middle ear course in Zurich, Switzerland. Her focus of research interest are: cochlear implantation in adults and children, fibrosis and ossification of cochlea, pediatric otology/otorhinolaryngology including otogenetics, stapes surgery. Prof. Maurits is full professor of Clinical Neuroengineering at the department of Neurology of the UMCG and visiting professor at the department of Biomedical Engineering of Strathclyde University in Glasgow (UK). She was trained as an applied mathematician and did a PhD in biophysical chemistry at University of Groningen. Her research focuses on neurodiagnostics, with a particular interest in the quantification of symptoms of movement disorders and the effect of age on neurological and cognitive functioning. She is an expert in multi-channel EEG recordings and analysis, which forms the basis of the collaboration with Prof. Baskent’s group. For more details please see her website. Prof. Cornelissen is a full professor in visual neuroscience at the Laboratory for Experimental Ophthalmology of the UMCG. Frans is leading a group of motivated and intelligent young scientists who’s interest and goal it is to solve the problem of how vision enables us to comprehend the enormous complexity of the world around us. Additionally, his group aims to understand how vision loss – due to retinal or cortical lesions or neurological disorders – interferes with this process, . In this way, the group wishes to contribute to the goal of improving visual rehabilitation or even restoring vision. 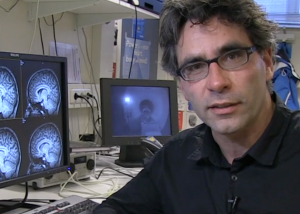 Frans is also acting as co-director with Deniz in the BCN-Brain programme Perceptual and Cognitive Neuroscience (PCN). For more details, visit his website. 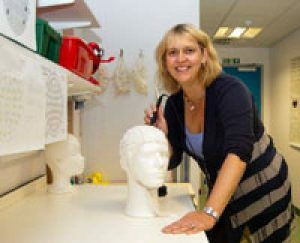 My early research career was in the Department of Phonetics and Linguistics at University College London (UCL) where I conducted my PhD studies into high-frequency speech perception by hearing aid users, as well as working on a project to develop early cochlear implants. I continued working in auditory research and psychophysics in the Hearing Lab at the University of Cambridge looking at the perceptual consequences of hearing impairment and in particular the impact of cochlear dead regions. Over the past ten years I have been an academic at UCL, where I am a Reader (Associate Professor) in Speech and Hearing Sciences. My speech and hearing science background drives my interest in optimising speech delivery with hearing devices to enhance communication and improve life quality; this is currently the underpinning goal for my research group. We are currently exploring cortical objective measures that could be used to guide cochlear implant mapping and also measures to fit hearing aids in babies. We are evaluating the parameter space for setting up individualised implant mapping and developing training approaches for optimising outcomes. I also work closely with clinicians and researchers to change the candidacy criteria for cochlear implants in the UK and I am involved in the NHS England research and innovation group. I am a sub-theme lead on “Transforming Hearing Devices” for the UCL Biomedical Research Centre on Deafness. For more details see my website. Wander Lowie is the chair of Applied Linguistics at the University of Groningen. His research concentrates on second language acquisition with a special interest for phonetic/phonological and lexical aspects of language development. With national and international collaborators he has been working on Dynamic Systems Theory applications to second language development in the past 10 years, and is especially interested in language and embodied cognition. For more information, please see his website. After many years in industry, Waldo is Junior Professor, since 2013, at the German Hearing Center of the Hannover Medical School. He is leading the Auditory Prosthetic Group of the Excellence Initiative project Hearing4all. 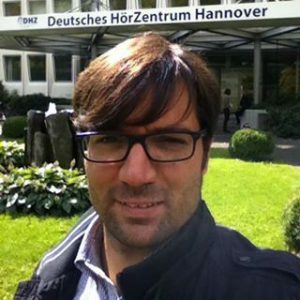 Since 2014 he is also an affilliate of the Institute for Information Processing of the Leibniz University Hannover. For more info please see here. 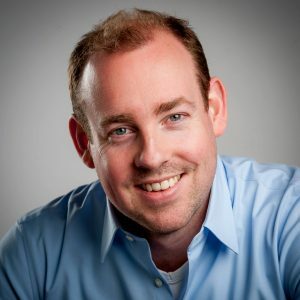 Lars Riecke is an assistant professor at the Department of Cognitive Neuroscience at Maastricht University, The Netherlands. He studied Biological Psychology at Maastricht University and Electrical Engineering at RWTH Aachen University, Germany. His main research interest is in the neural basis of auditory scene analysis. His current research focuses on (i) the role of neural entrainment for auditory processing and perception using non-invasive brain stimulation and (ii) the attentional modulation of sound-feature tuning in the human auditory system using EEG/FMRI. For more information, please see his website. whether fast temporal changes in speech signals, which relate to fast movements in speech production, can hold information that is meaningful for speech comprehension. This involves studying changes in acoustic speech cues on relatively short time scales that typically “join” two successive segments in the speech chain (like /b/ and /a/ in /ba/). Another side of “dynamics in speech” relates to the fact that the speech signal provides many different forms of information (about the speaker identity, gender, mood as well as about the linguistic content) that interact together. Access to one of this dimensions of information is tightly related to the other dimensions, for example changes in speaker’s voice impact the perception of vowel categories. We try to model how listeners dynamically access and combine these information simultaneously. Part of this work is conducted in Deniz Başkent’s team, targeting both normal-hearing speakers and deaf patients wearing cochlear implants.